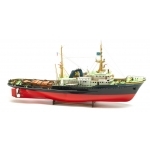 1:20 Nordlandsbaaden A journey from North Norway. 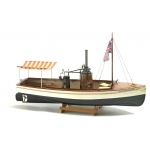 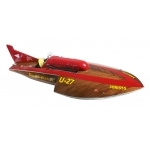 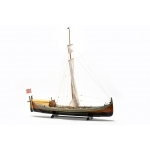 This type of boat dates from the 17th centu..
1:25 Oseberg The Oseberg was found in Norway at Oseberg in Vestfold in 1903, resting on a bed..
1:12 Dragen Yacht The first Dragen was built in 1929 in Gothenburg, Sweden. 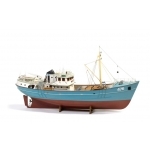 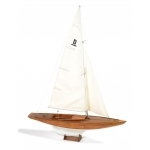 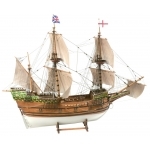 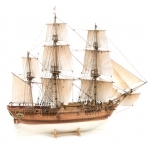 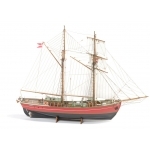 The sailing chara..
1:50 HMS Bounty Among all those recorded through naval history, that of the Bounty is certain..
1:50 Nordkap A typical trawler from the North Sea, built in 1970 at an English shipyard. 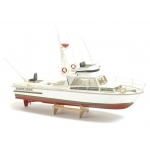 The ..
White Star - Sports Fisherman Boat A model of a typical American motor boat , used in tuna fi..
1:50 Lilla Dan Lilla Dan was built in 1951 at the well known shipyard Svendborg, Denmark, by ..
1:12 African Queen This is the ship which gave its name to the movie starring Katherine Hepbu..
1:90 Zwarte Zee The Zwarte Zee was built in 1963 at J & K Smit's Scheepswerven N.V. in Ki..
1:60 Mayflower A three-masted galleon launched in 1615. 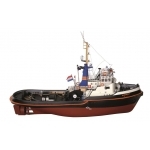 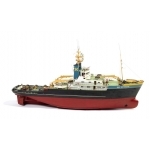 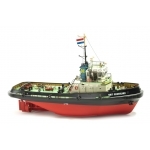 Length 19.50 m, breadth 7.95 m, draug..
1:75 Smit Rotterdam - Ocean Going Tug Boat Smit Rotterdam was built in 1975 for Smit Internat..
1:50 Bankert - Tug Boat This vessel was built in 1965 at the N.V. Scheepswerven in Millingen,..
1:33 Smit Nederland The Smit Nederland was built in 1979 at the BV Scheepswerft & Machine..